Anglia can supply Multi Page leaflet labels. These are labels with a pull out leaflet label underneath the face label. 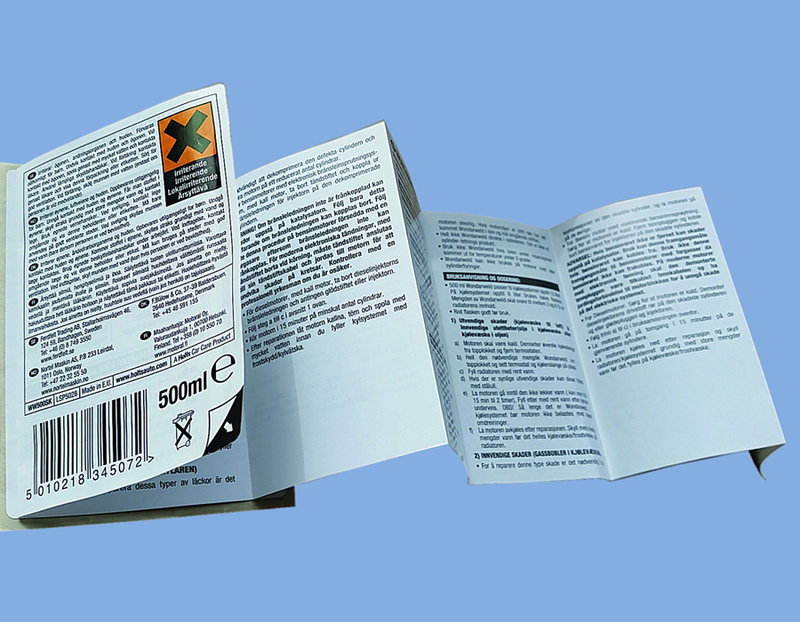 These are used when large amounts of information are required and there is little room for that information on a single ply label.